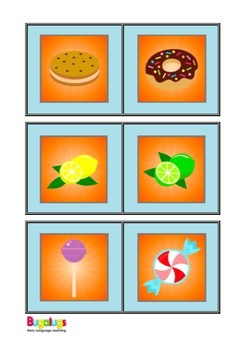 This package contains 30 flashcards depicting two different food and drink items. 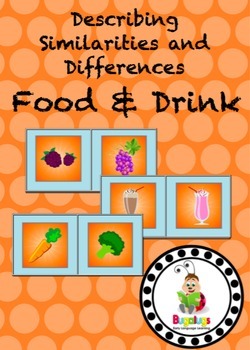 Each pair of food and drink items can be described by their similarities and differences. A sematic spinning wheel is included in the package. 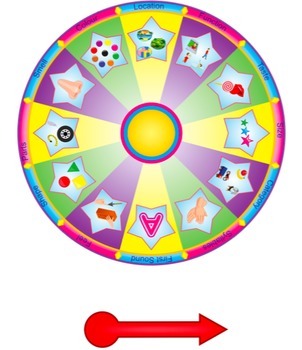 The spinning wheel can be used to help the players describe the items' similarities and differences in the following twelve categories including; location (where found), function (what do you do with it), taste, size, category (i.e. 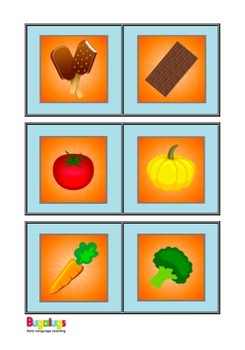 fruit, vegetable etc), number of syllables in the word, first sound of the word, feel, shape, parts of the item (i.e. leaves, skin, spikes etc), smell and colour.